My preferred way to spend a Sunday morning is perched at the kitchen table, one hand paging through my (always-accruing) stack of New Yorker magazines, the other wrapped around a mug of good coffee. I love the lead-up, too: puttering around the kitchen, turning on NPR in the background, grinding the beans (by hand! 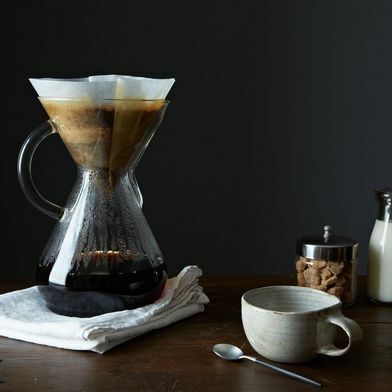 ), heating the water, slowly pouring concentric circles through my Chemex—all while enjoying the way that fresh coffee aroma wafts through my whole apartment. Not so on weekdays. My body still needs caffeine before I can have a coherent thought (let alone conversation), but I’ve yet to master waking up with enough time to enjoy a leisurely coffee ritual. I’ve tried changing my alarm clock; I’ve tried changing my showering schedule. It’s just not going to happen. Recently, though, I’ve shifted my thinking. How about changing my method? 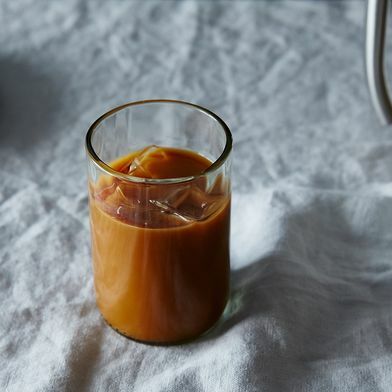 I’ve got plenty of friends who swear by making big batches of cold brew in the summer months. 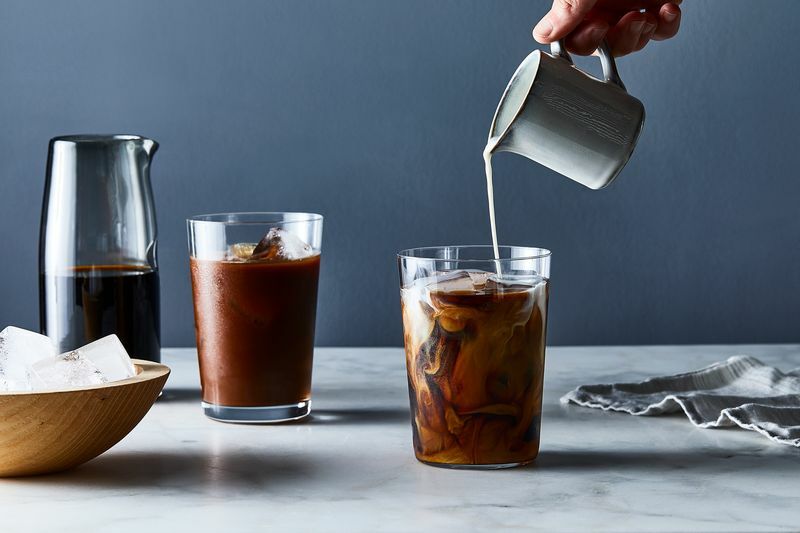 I’ve done the same thing to prep hot coffee for the dessert course at big dinner parties—just as you’d add lots of ice and a little water or milk for iced coffee, add hot water or hot milk to the cold-brew concentrate at a 1:1 ratio, and you’ve got a carafe of ready-to-drink coffee at the perfect temperature. Because it’s steeped at room temperature for 12 to 24 hours, it’s less bitter and less acidic than regular brewed coffee, and—my favourite part—it’s much more caffeinated. It’s also quite simple to mix to your taste: Just add more or less water to the concentrate, depending on how strong you like your brew. The best part? 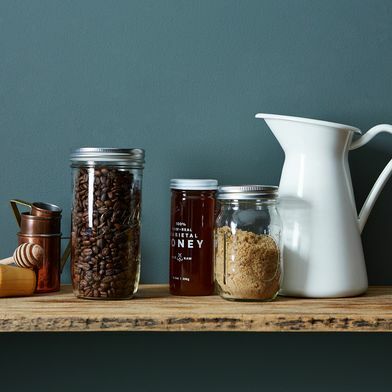 It might have to steep overnight, but it takes only a few minutes to prep—and even less time when you’re ready to have a cup. 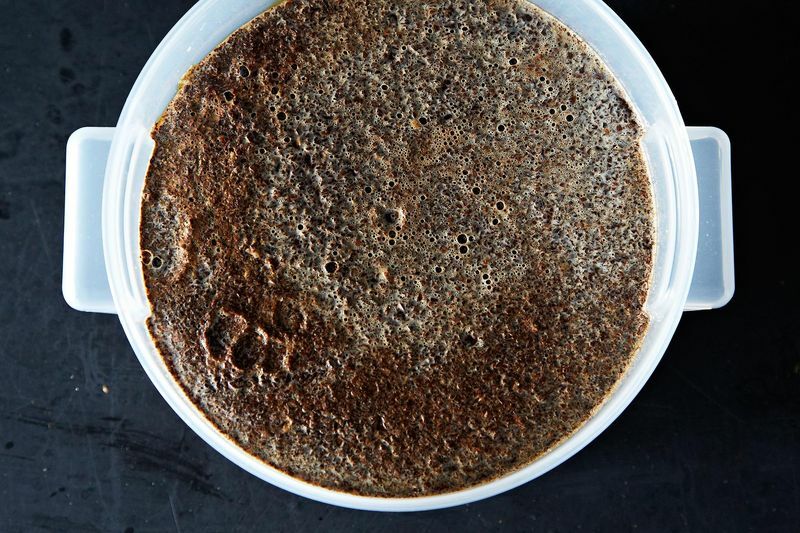 Grind beans a little more coarsely than you would for French-press coffee. Add the grounds to a large container, such as a mason jar or large pitcher (it works better if it has a lid, but you can make do with Saran wrap and a rubber band). Then add water; I like a ratio of ¾ cup ground beans to 4 cups water, but you can experiment to find out what works for you. Stir well. Let it sit! For at least 12 and up to 24 hours. The longer it steeps, the more caffeinated your coffee will be. When you’re ready to strain, pour it through a fine-mesh sieve lined with cheesecloth. If you don’t have cheesecloth, you can just use a regular coffee filter. The coffee concentrate will keep in the fridge for about 2 weeks. When you’re ready to drink it, mix with hot water or hot milk at a 1:1 ratio, or to your taste. Get more details—and some step-by-step photos—right here. 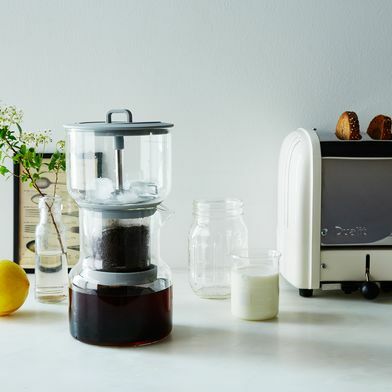 Do you have a favourite coffee-brewing method or a preferred way to drink cold brew? Let us know in the comments! This article was written by Cory Baldwin from Food52 and was legally licensed through the NewsCred publisher network. Please direct all licensing questions to legal@newscred.com.